SEOUL, Nov. 18 (Yonhap) -- South Korea said Friday that senior North Korean diplomats' ongoing talks with American experts could be an occasion to prod Pyongyang into changing its course over its nuclear programs. Choe Son-hui, director-general handling U.S. affairs, and Jang Il-hun, deputy ambassador to the U.N. mission, are in Geneva for the nongovernmental "Track 2" meeting. Their counterparts are Joel Wit, editor of the website 38 North, and Robert Einhorn, a senior fellow at the Brookings Institution. Both used to work at the State Department under Democratic administrations. 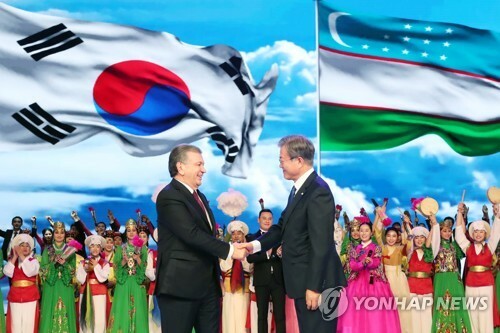 Seoul's unification ministry said that it does not attach special meaning to the informal meeting. "But we have expectations that North Korea could change its behavior by discussing policy directions (with American experts)," Jeong Joon-hee, ministry spokesman, told a regular press briefing. It marks the first such meeting since Donald Trump was elected U.S. president last week. 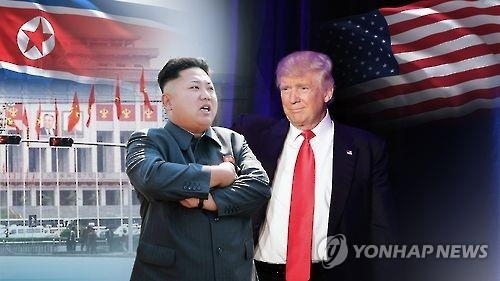 Experts said that the rare meeting may help Pyongyang explore the direction of the incoming Trump administration's North Korea policy, including possible dialogue between the two countries over the North's nukes. Seoul, however, added that Choe's U.S. interlocutors do not seem to have ties to Trump. Meanwhile, the Chosun Sinbo, a pro-North Korean newspaper based in Japan, gave a positive assessment to Trump's campaign pledges, which include no interference in other countries' affairs and the need to put priority on dialogue. "These are very sensible and reasonable arguments," the newspaper said. "He is well-aware of toxicity of globalism and an evil of the U.S.-type capitalism, but the question is how much he can reject pressure from the dark forces." North Korea's state media has not commented on Trump's presidency since his victory last week, which analysts say indicates Pyongyang's caution until the U.S. president-elect unveils the direction of his North Korea policy. The Chosun Shinbo is not North Korea's state media, but it serves as an unofficial spokesman for Pyongyang. During the campaign, Trump expressed his willingness to meet North Korean leader Kim Jong-un. He also demanded South Korea and Japan pay more costs for keeping U.S. troops in the region, warning of the possible withdrawal of American soldiers. South Korea is closely watching what stance Trump will take over North Korea's nuclear issue -- either applying pressure and sanctions or seeking dialogue with the North's leadership.